A Calgary law firm with close ties to Redford was awarded a contract to represent the province. 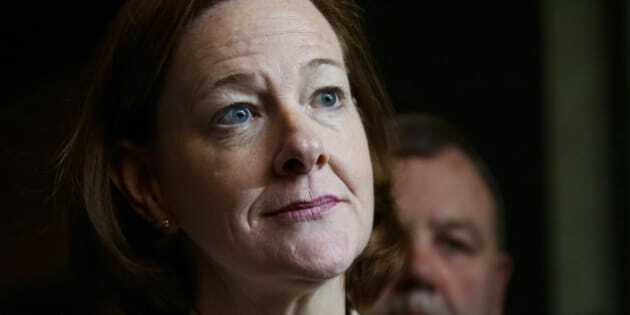 EDMONTON — A former Supreme Court judge is calling for another investigation into conflict-of-interest allegations involving former Alberta premier Alison Redford. Frank Iacobucci makes the recommendation in his report, released Monday, into the 2013 investigation by ethics commissioner Neil Wilkinson. Wilkinson looked into how a Calgary law firm with close ties to Redford was awarded a contract to represent the province in a lawsuit against tobacco companies. Robert Hawkes, one of the partners at JSS Barristers, is Redford's former husband. Wilkinson cleared Redford of any conflict in awarding the contract for the multibillion-dollar lawsuit while she was justice minister. But Iacobucci said the commissioner didn't have all relevant information he needed, including a draft note that listed the law firm as the last of three that should be considered. "These questions would very likely have been explored by the ethics commissioner had the information on which they are based been known to him,'' Iacobucci said. Justice Minister Kathleen Ganley said it's "deeply concerning'' that Wilkinson didn't have all the information he needed. She has sent the report to the province's new ethics commissioner, Marguerite Trussler, to decide if another investigation is warranted. Redford resigned in 2014 as she was stung by scandals that included improper use government planes and the ordering of a personal penthouse apartment on top of a renovated government building. Ganley said even though Redford is no longer a sitting legislature member, the allegations against her still need to be examined. She added that tobacco lawsuit is far into litigation and it doesn't make sense to switch law firms. "We have no indication other than they have been anything other than fully competent in pursing this matter,'' Ganley said. In 2012 Redford, who was premier, said Alberta was seeking to recover $10-billion from tobacco companies for the estimated cost of caring for patients dating back to the 1950s.